Production SITREP: Helvetica, Titanium Hardware, 20ATM | Redux & Co. Thrilled to report we’ve made steady progress in the last few weeks. This got a bit long as usual, and I hope you enjoy this dispatch from the ground crew hard at work here in the hangar. If you haven’t already, FILL OUT YOUR SURVEY NOW so we can include your order in the first production wave … we’ll wait right here for you … until this MONDAY. We’re moving along well with the titanium grade 2 prototypes and moving into full production. 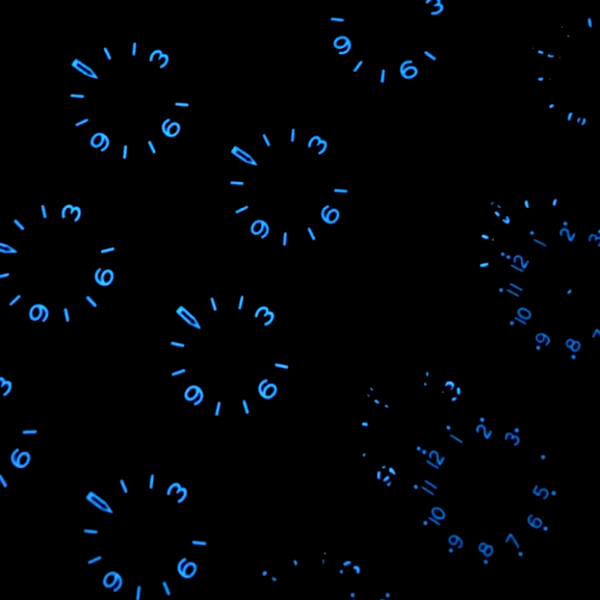 Just this week, I approved all the dial variants (small but important update to the Type-A, see below) and are closing in on finalizing the handsets. There’s some minor tweaks that are in the works, and we have good momentum moving into full production. The manufacturer ran some preliminary pressure tests on the grade 2 prototypes and confirms that we easily withstand 17ATM right now with the 2.6mm sapphire, which is still above the original 15ATM. But we’ll still push to see whether there are structural enhancements in the final case mold to add further resistance. Once again for reference, unless you’re doing serious scuba diving, 15ATM is already more than sufficient for swimming in the ocean, just about any watersports, and even most recreational dives. For those of you with eagle eyes wondering why the case edge towards the bottom seems to abruptly cut off, that’s actually a slight softening of the edge to allow for thicker straps. 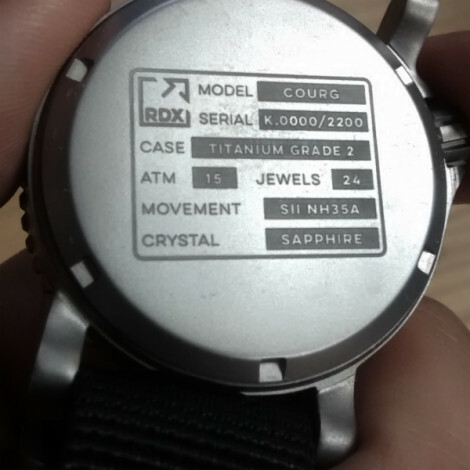 The titanium grade 5 sample should arrive sometime next week. I can’t wait to compare the grade 2 and the grade 5 and share the findings with #COURGcrew. Turns out the grade 5 lends more than just some scratch resistance. A surprising finding that I’m excited to share with you all is that the initial pressure tests of the grade 5 prototype has proven to withstand 20ATM. This was unforeseen and could not be predicted until we built and tested, but makes sense once we take into account that the alloy makes for a significantly harder material. Bottom line: At this point in the mission, we’re on schedule. We haven’t hit the 95% threshold of responses that BackerKit recommends before closing the survey. I wanted to be able to provide as much information on the differences between grade 2 and grade 5 to you all before closing the survey down. I needed to tweak the watch box dimensions to better accommodate the waxed canvas Mission Folio and needed to confirm whether that would change the shipping/freight outlook. I haven’t let the BackerKit survey delay hold us back from initiating production. And I believe we’ve addressed these four points and now must forge ahead with the intel in hand and place orders or risk pushing the timelines. Although we only have 92% completion on the BackerKit survey, I’ve decided to move ahead with the initial order runs so we don’t get held up by the laggers. 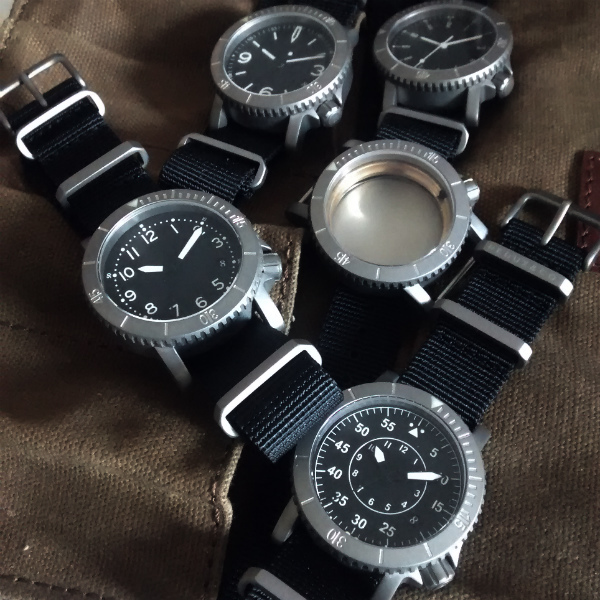 In fact, based on the BackerKit survey results so far, I have already wired 30% deposits for TiGr2 cases, dials, sapphire, ballistic and Mil-Strap styles, and titanium hardware. I confirmed initial order quantities and plan to finalize production numbers as backers late surveys land. That said, on Monday we’ll lock and load all the surveys which have already touched down. And then let the delayed ones catch up later in the production cycle. So, yes, those of you who have locked-in your orders will fly in the first production wave. 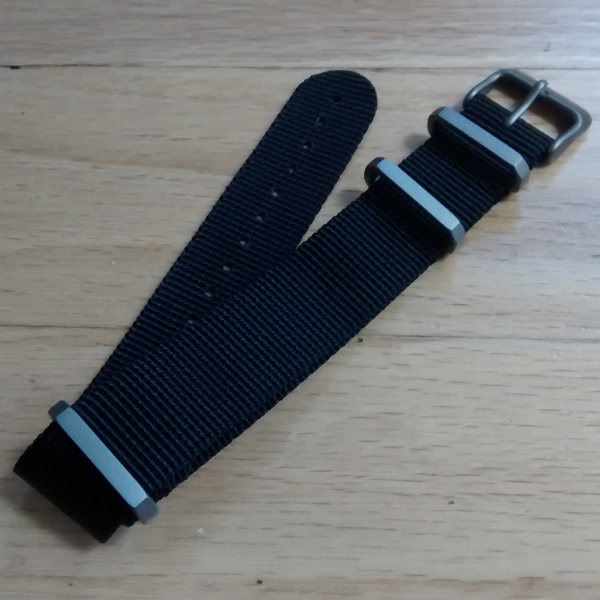 The titanium strap hardware prototypes arrived here at HQ! Our manufacturer on these was able to implement our exclusive design and still ensure production within our tight timelines. They are a more secure fit for the straps and don’t flop around like the typical “ZULU” rings. I designed these with just the right amount of angle, curve, and heft. 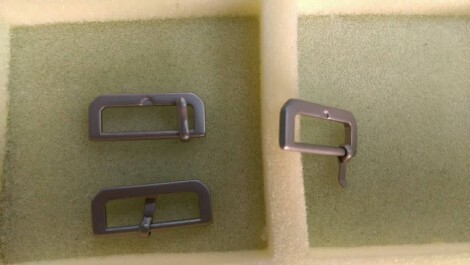 In addition, they finished the mold for the matching buckle a couple weeks earlier than expected, so they will ship those samples soon. 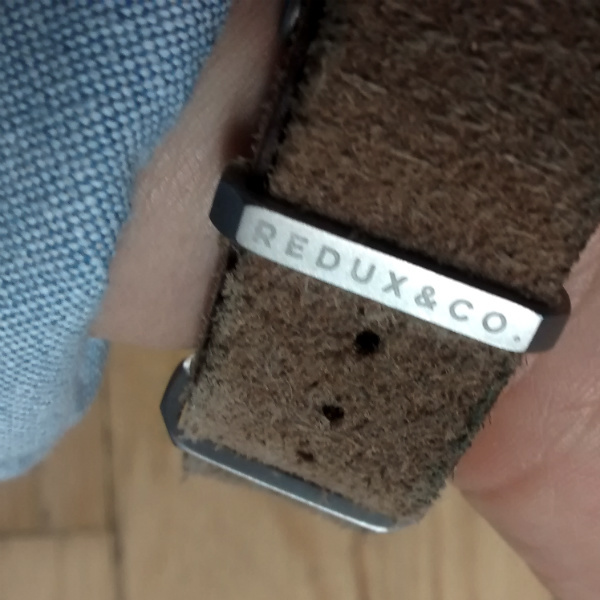 We’ll etch the Redux symbol into the buckle. Also, we’ll etch one of the hardware rings with Redux & Co.
Special thanks to COURGcrew members Bryan, Chuck, and Petr, who pointed out that the initial Type-A dial prototypes used Arial font for the numerals (except the 1). Somewhere along the way that font got lost in translation. As an aspiring design nerd, I couldn’t let us go into full production with Arial. That’s because Helvetica is the original Swiss-designed font, while Arial is a slightly tweaked step-child made to avoid copyrights. For example, here’s Arial (left) vs Helvetica (right), I’ve circled one difference out of at least seven. So, we’ve updated the Type-A numerals 2,3,4,5,6,7,8,9 with Helvetica. If you’re interested in learning more about the typographic backstory, Gary Hustwit produced an entertaining and fascinating documentary on Helvetica. We’ve been in a holding pattern for finalizing shipping details on multiple unit orders pending dimensions changes to the crate. We have a final prototype of the box enroute. Based on initial calculations, our fulfillment partner does not foresee added shipping and freight multiple COURG unit deployments. More importantly, I do not anticipate this pause will cause any delays in production. With this strap, I’d prefer minimal wrap back on the tail. So, the Worn & Wound team proposed that we increase the space between the rings. 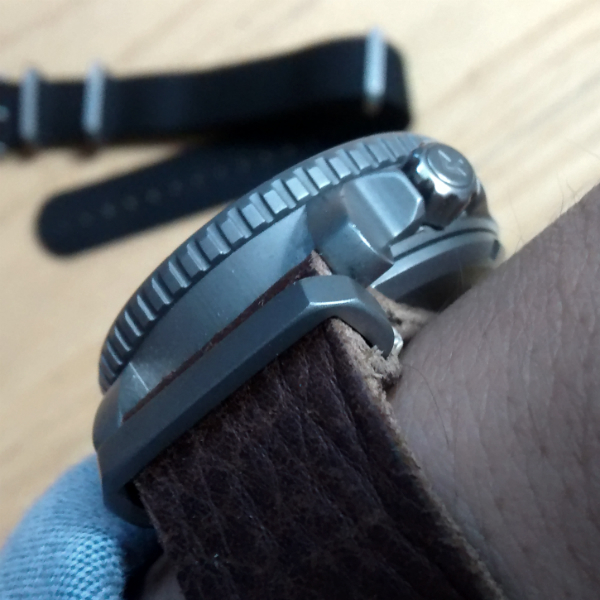 Once that’s confirmed, Worn & Wound designs the leather dies to cut the shapes out to provide us a head start so those are ready to roll as soon as the titanium strap hardware maker delivers the goods. Again, scale has come into play, as has the relationship we have in place with our on-the-ground local operators that sped us to the front of the production queue. If all goes as planned, the manufacturer tells us a first wave of titanium hardware ships at the end of this month. The first lot will ship to NYC so that Worn & Wound can stitch in the hardware and buckles. Thanks for all your generosity toward making the Wish Kid’s mission a reality. I think we were all excited at the prospect of helping the little guy get on a fighter jet. I just learned that the Wish Kid’s physician grounded the young man from the fighter jet wish because of his fragile health. However, Make-A-Wish is still committed (and so are we), to helping make his second wish come true: Superbowl! So, I think we might propose to help fly Wish Kid and family to the Superbowl on a commercial flight. If only I had a plane … and a pilot’s license (near the top of the bucket list)! So you’ve probably noticed that our dispatches have now found a new home. For you, I believe this makes for a better reading experience. For me, the main benefit is that it’s much easier to write, add photos, and edit on WordPress than on Kickstarter. We’ll continue to dispatch the TL;DR there and link here so everyone stays in the loop. Pardon the dust in the virtual blog hangar, it’s a work in progress and I don’t have much time or desire to spend a ton of time on it right now. It functions and that’s all we need at this point. Thanks again #COURGcrew, I hope you’re as excited as I am for the COURG and that this update helps give you a glimpse into the day-to-day decisions, creator dilemmas, and victories. Godspeed and tackle your missions. elbert, over and out. 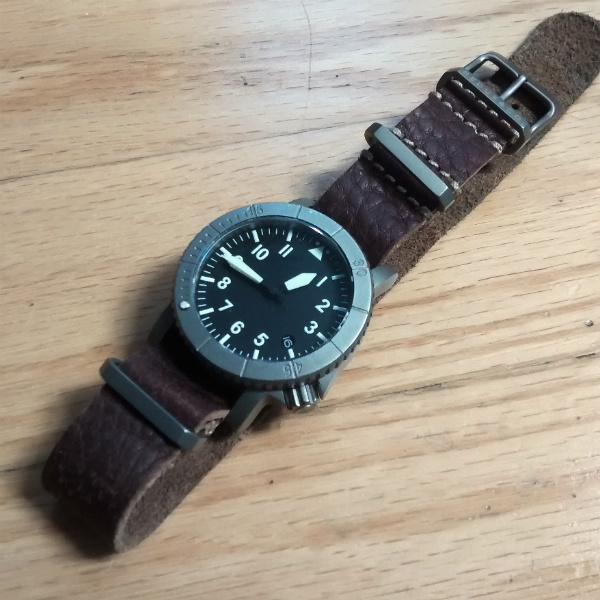 This entry was posted by pilot in News and tagged backers, horween, kickstarter, leather, make-a-wish, titanium, wish kid. ← Respond Now — BackerKit Survey Dispatched.